I’d held off long enough. Brooklyn Heights. 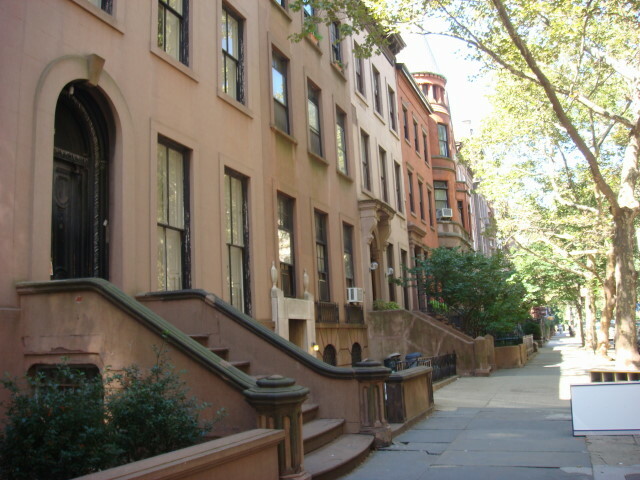 The Brooklyn Heights. It was waiting for me. One of the whole points of this blog is to try and capture the wonders of New York City. There is so much here, and there are so many people here, and so many things going on; that any single picture or set of pictures can’t begin to capture it. In truth, every city, town, and area is also incapable of being captured so simply, but there’s so much to NYC that you really can’t begin to capture more than the tiniest sliver of the present, much less the past. This blog may be a mile wide, but it’s a sixteenth of an inch deep. 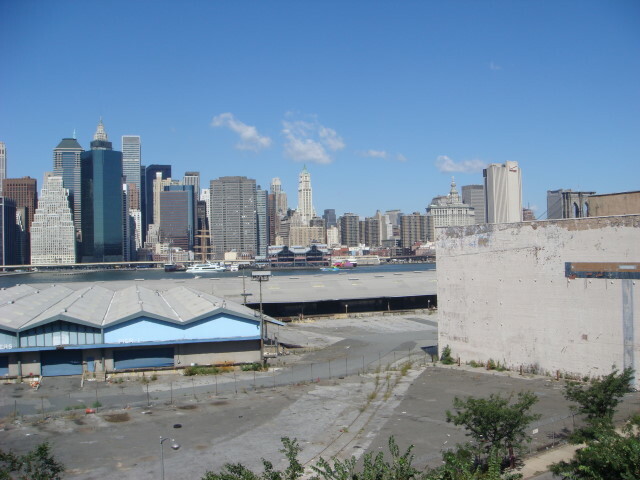 Brooklyn Heights has something that no other place I’ve written about has. 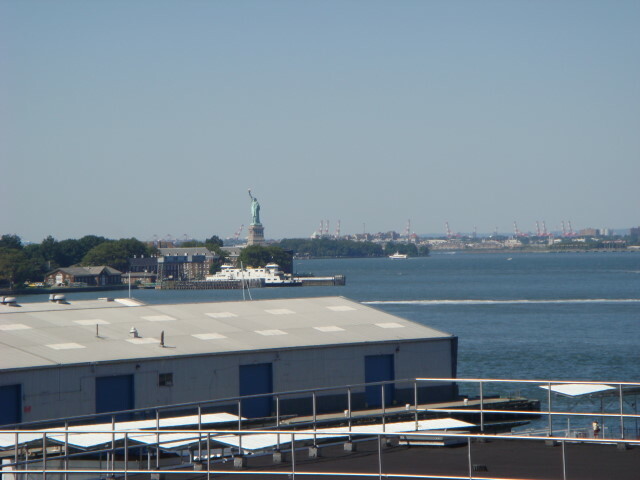 It has the single best view of Manhattan that there is. It’s called the Promenade. That’s southern Manhattan you see there. 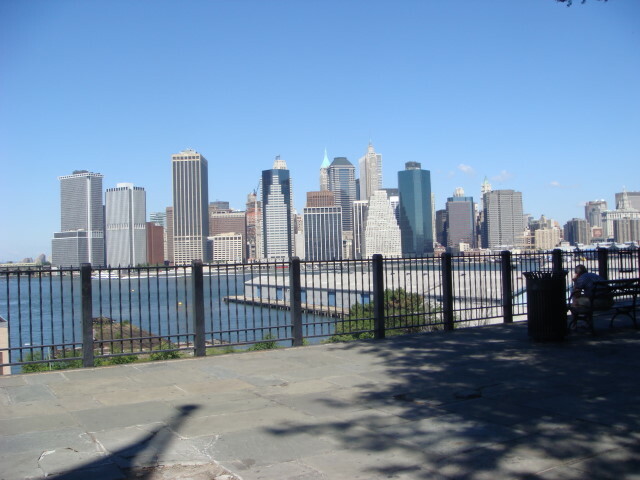 If you want to be anyplace and see picture-postcard Manhattan, the Brooklyn Heights Promenade is where you want to go. Okay, an air view of Manhattan is better, but let’s allow for the cheapness of your host to forego a multi-hundred dollar, several-minute-long-helicopter-ride. It cost me $2 to get to the Promenade and I stayed for quite a while. Here’s a medley of the views possible from the Promenade. 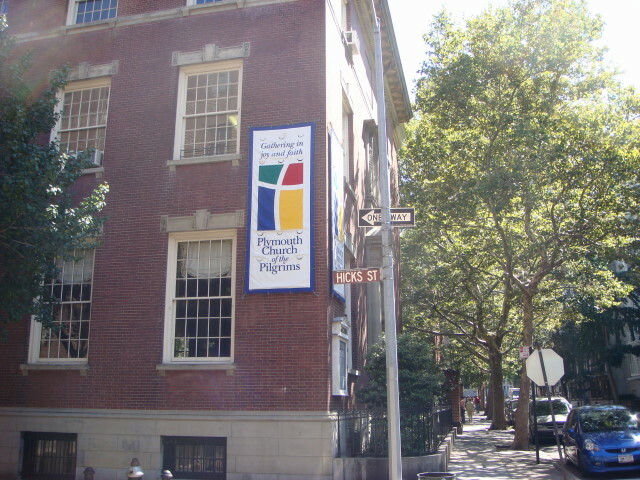 From the entrance at Montegue Street. 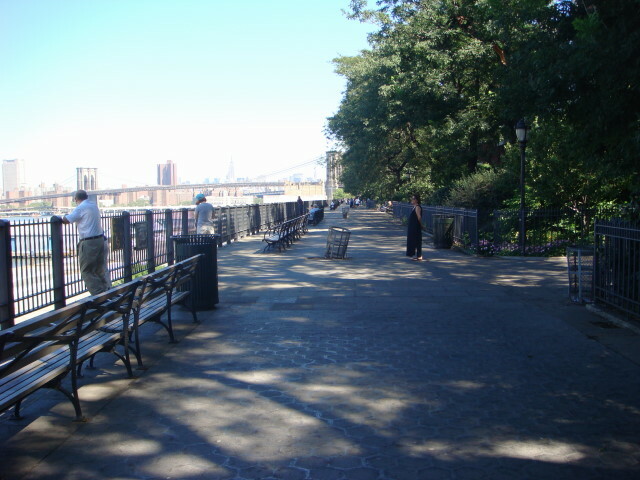 It’s nicely lined with benches and there’s lots of room for runners, bikers, and strollers. That’s the Brooklyn Bridge in the distance (remember, this is only southern Manhattan). Time it right and you can see the Staten Island Ferry. 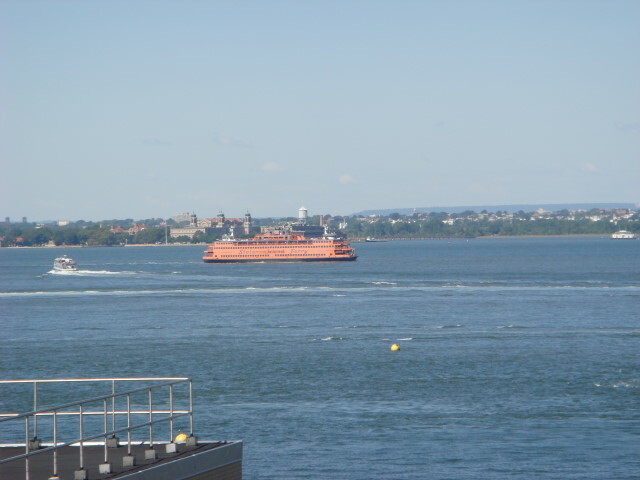 Oh, and that’s Ellis Island just past the ferry. 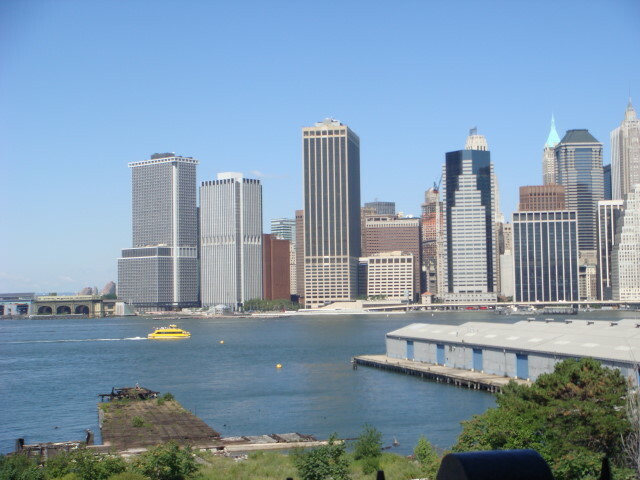 Another view of southern Manhattan. A slightly better view of the Brooklyn Bridge. There are a couple of things to complain about with regard to the Promenade. First, it’s set up high to clear the view of the highway that rumbles beneath. That’s great, actually. But what I find distracting is all the pier area in front of the Promenade. It is still a working area, so it’s a minor quibble, but some of the majesty is certainly a bit diminished. Like I said, minor but distracting. 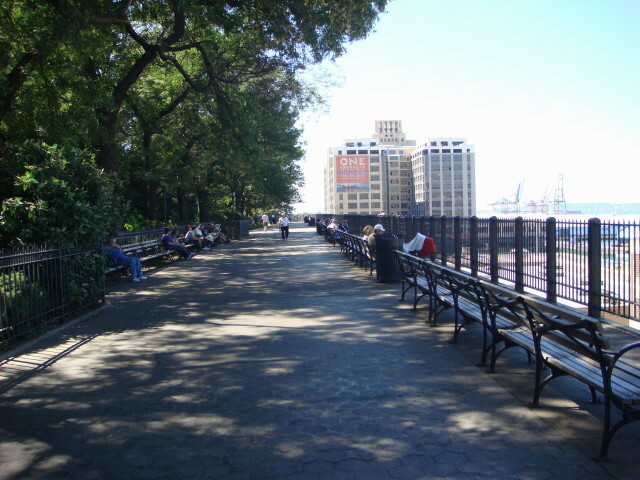 Incidentally, the Promenade itself is very photogenic. Here’s a southward view. And a northward view from the same spot. Hey, I’m in Manhattan already. 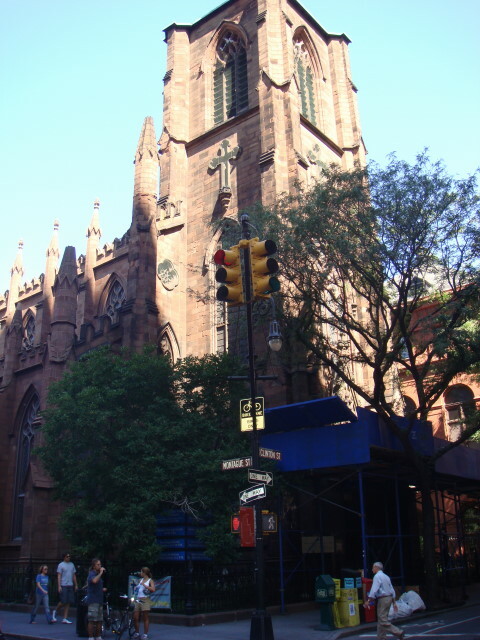 I’m breaking my Brooklyn Heights wandering into several parts. The Promenade is a visit in and of itself. I took way too many pictures and am having a time keeping it limited. 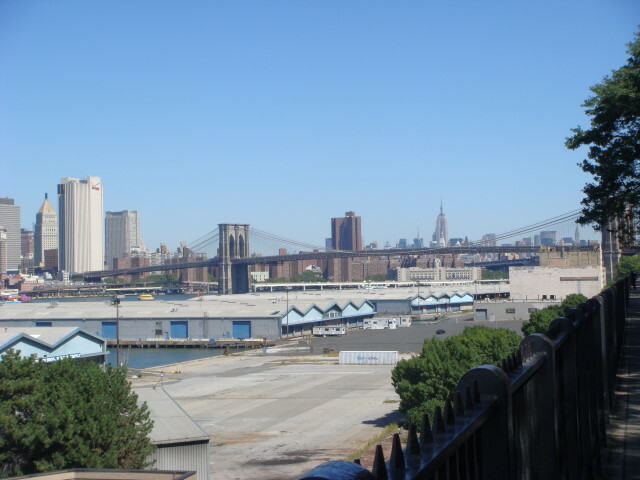 Nice views from the Promenade and throughout the Heights. 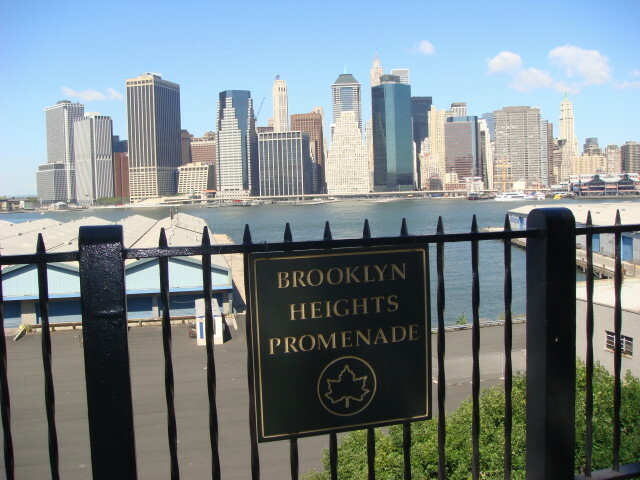 In any case, Brooklyn Heights is a lot more than the Promenade. It thinks of itself as the first suburb in America. It’s also the site of one of George Washington’s biggest defeats (he did a magnificent withdrawal, but didn’t get back to New York for a long time as the British held it through the rest of the Revolution). 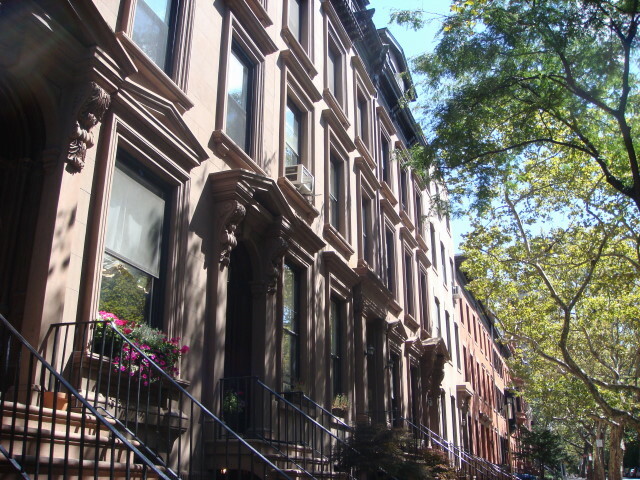 Okay, if you remember what I said about Park Slope being a place you might move to if you’re well off and new to NYC; if you’re new to NYC and rich, Brooklyn Heights calls. 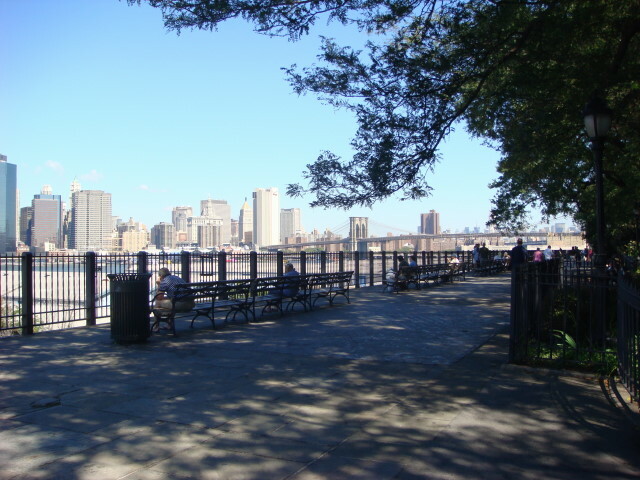 It’s quiet, it’s beautiful, and it’s well-located; just across the East River from lower Manhattan. There are several nearby subway stops, but I took the 3 line to Borough Hall. Wouldn’t you know, there was a farmers’ market going on. 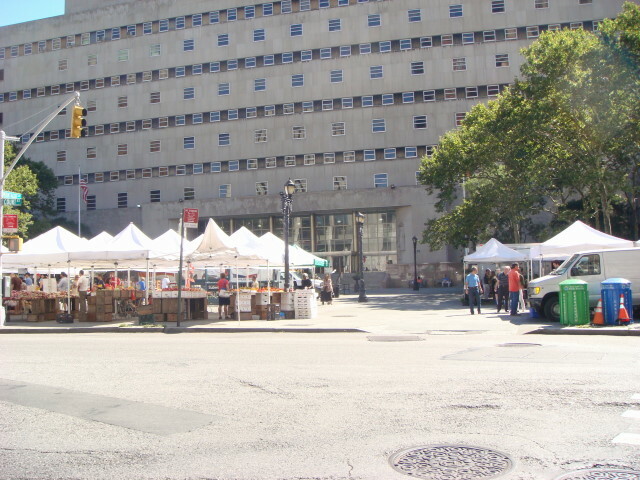 NYC loves a good famers market. 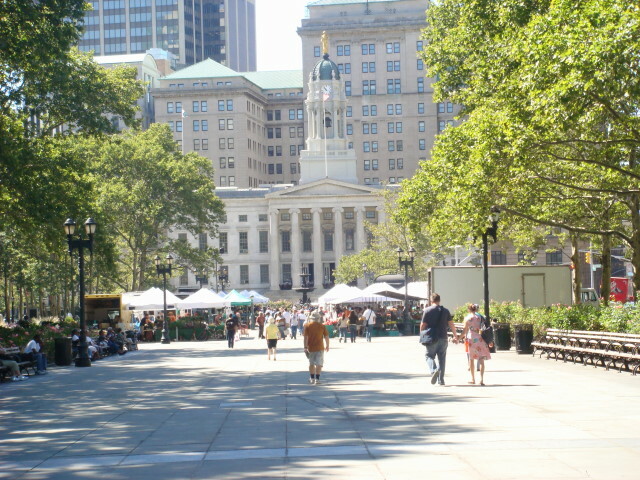 The area of the farmers market was just outside Brooklyn’s Borough Hall. In the background of the above picture is the State Supreme Court Building. 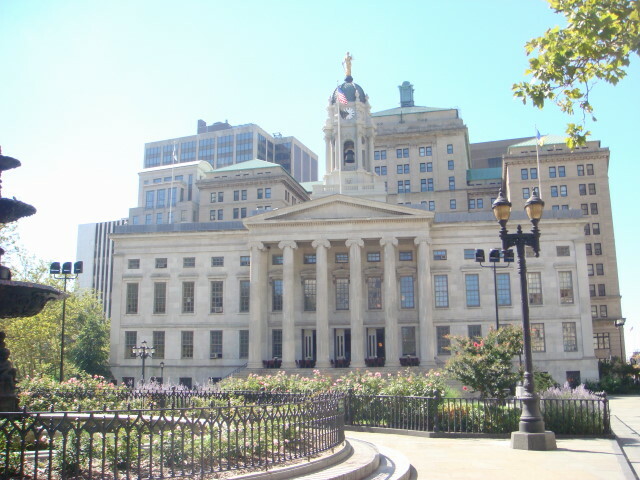 Below is a picture of Borough Hall itself. 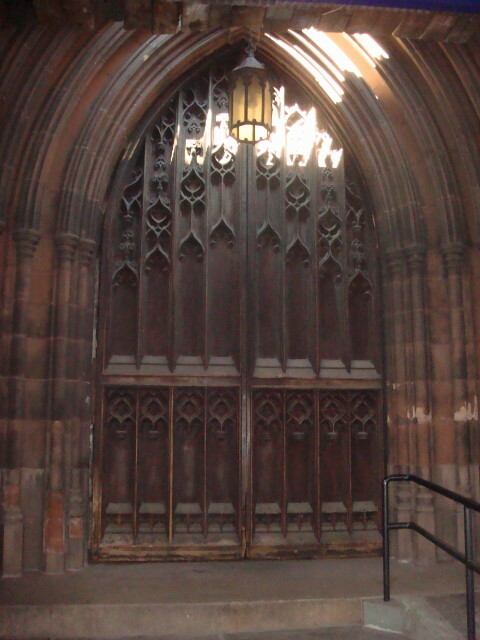 There’s a large square going from the Hall to a statue at the other end. 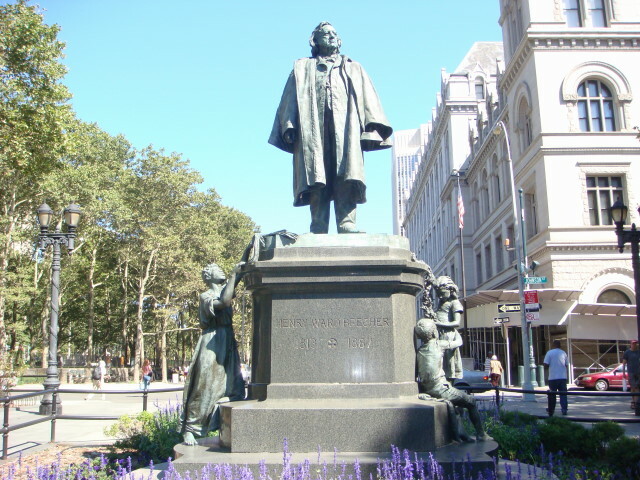 One of Brooklyn’s favorite sons is commemorated there: Henry Ward Beecher. Note the woman to the left of the picture. I don’t know if the figure represents a freed/escaped slave or if it represents those slaves that needed his oratory to raise the nation up against slavery. In either case, Beecher was one of the giants of the 19th Century’s anti-slavery movement in the US. The square/walkway is pretty long. 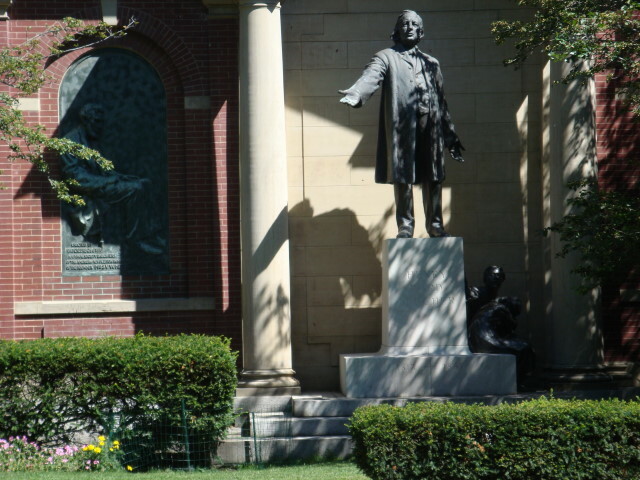 Here’s a shot with my back to the Beecher statue. The farmers market is in the distance. Finally, there’s a statue of Columbus right next to the Supreme Court Building. Technically, there’s an area right next to Brooklyn Heights called Columbia Heights. I don’t know if there’s a link between its name and the statue, but maybe.